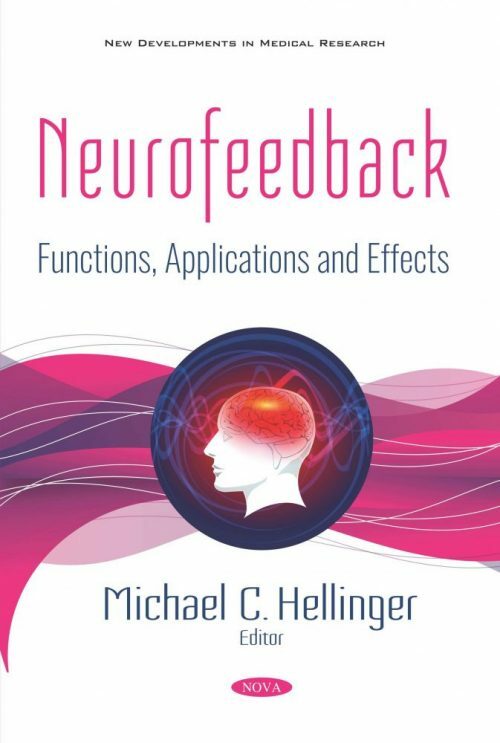 Neurofeedback: Functions, Applications and Effects presents a number of possible applications for neurofeedback in offender treatment, including perpetuators of domestic violence and various other forms of violent and anti-social behavior, certain forms of sexually abusive behavior, and criminal behavior of an obsessive–compulsive nature. A global description of this method is presented, followed by a brief overview of the empirical evidence of its eﬃcacy in speciﬁc relevant treatment areas. To accomplish a targeted impact of neurofeedback on specific cortical functions, EEG-based local brain activity neurofeedback training was developed by Bauer et al. (2011). With this approach, an implemented algorithm automatically identifies and localizes EEG-sources in successive sLORETA solutions. Based on this information, the feedback is exclusively controlled by EEG-generating sources within a selected cortical region of training. In order to individually and precisely locate and define the region of training, the use of evoked potentials of known local origin is recommended. In one study, a total of 30 Iranian veterans with spinal cord injuries were randomly assigned to either neurofeedback, physical training, or a control condition. At the beginning of the study and four weeks later, reaction times and balance were objectively measured. Compared to the control condition over time, reaction times improved in the neurofeedback condition, while balance improved in the physical training condition. Compared to a conventional treatment condition, neurofeedback and physical training improved skills in specific areas of motor control. The authors go on investigate the effect of neurofeedback training on the motor performance and conscious motor processing of skilled dart players. The subjects consisted of 20 males. The research was conducted in five phases, including: pre-test, training neurofeedback, posttest 1, under pressure test and posttest 2. Additionally, the authors investigate the effect of one session of neurofeedback training on the motor performance of elite and non-elite volleyball players. The research was conducted in three phases: pre-test, training neurofeedback, and post-test. The effect of Quiet Mind Training on alpha power and dart throwing is also studied. A total of 20 novice dart players were randomly assigned to either Quiet Mind Training or a control condition. Dart playing skills and alpha were assessed four times: at baseline, 20 session later, under stress conditions, and at study end. In the penultimate study, this collection proposes that prefrontal neurofeedback training would be accompanied by changes in the relative power of EEG bands and ratios of individual bands with increased effectiveness at higher numbers of sessions. Outcome measures included EEG and behavioral ratings by parents/caregivers. Mu rhythm and bimanual coordination was examined in 10 healthy boys, 10 boys with high-functioning in-active autism and 10 boys with high-functioning active autism. Results indicated that high-functioning in-active autistic boys and high-functioning active autistic boys have a higher mean of relative phase error.